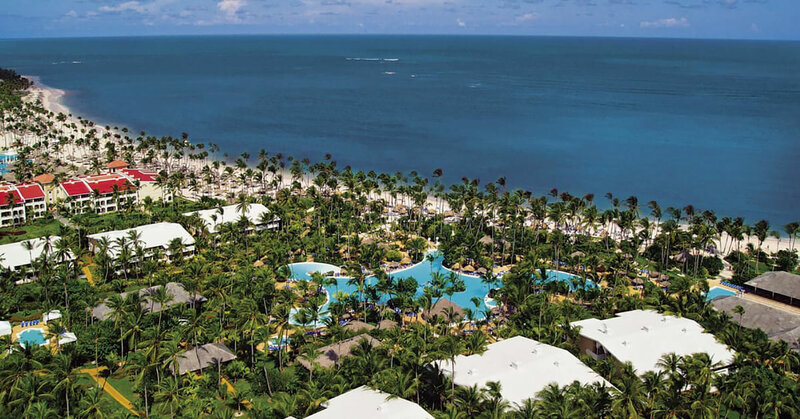 Located right on the beachfront of the spectacular Playa Bávaro, the Meliá Caribe Tropical All Inclusive Beach & Golf Resort offers the true essence of the Caribbean. 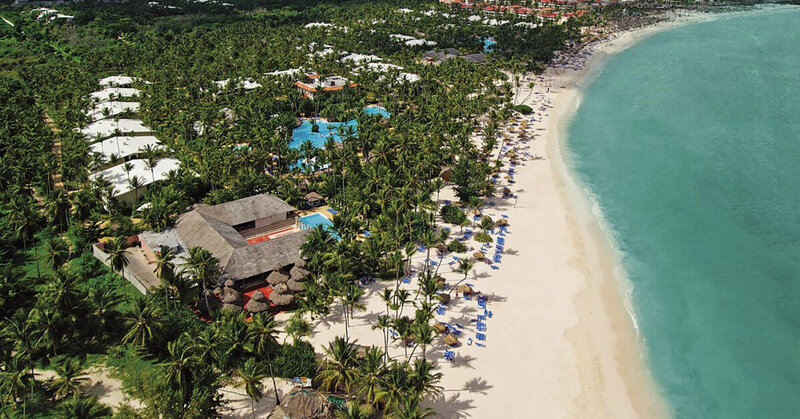 Experience the fine sandy beache and exotic gardens at the Meliá Caribe Tropical. An idyllic resort, with a warm and welcoming atmosphere, where families and couples will enjoy an unforgettable experience. 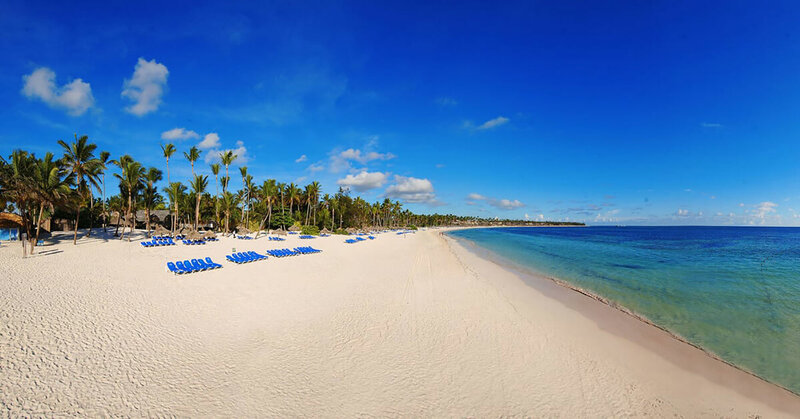 Meliá Caribe Tropical All Inclusive Beach & Golf Resort is located right on the beachfront surrounded by beautiful tropical gardens with all sorts of native flowers and even some of its animals. 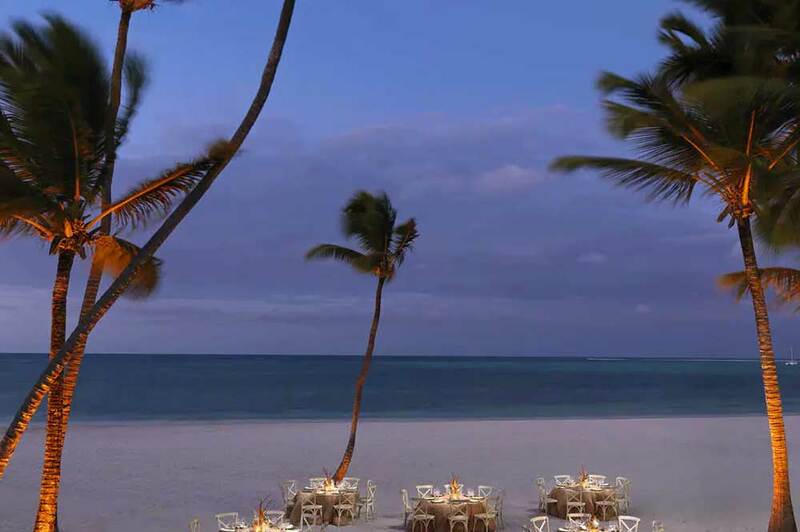 Feel the essence of the Caribbean with all the services and facilities you’d expect from a luxury all-inclusive resort. 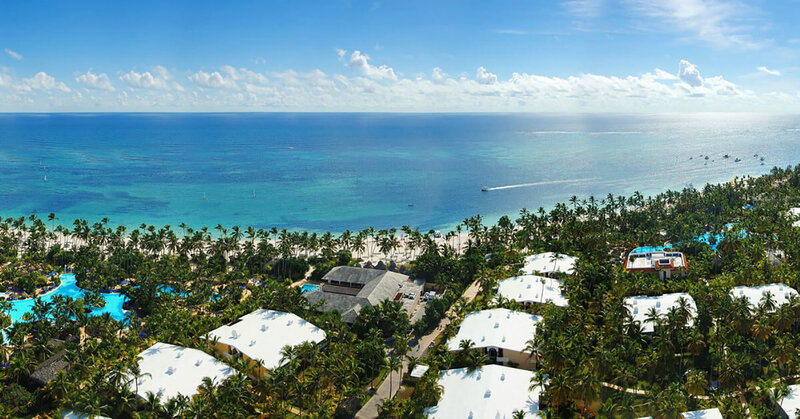 The turquoise waters and white sandy beaches of the idyllic Playa Bávaro is the view you will enjoy every morning you wake up at the Meliá Caribe Tropical. 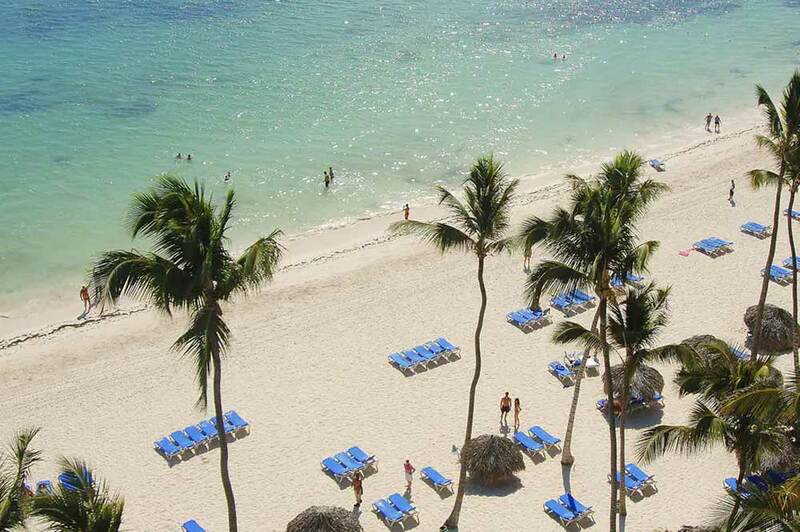 Meliá Caribe Tropical is a paradise on earth where you can relax sunbathing or sitting under a palm tree, enjoy a great choice of fun activities for all ages and tastes or practice your swing at the 18-hole golf course. The perfect option for enjoying a holiday with your partner thanks to its idyllic, romantic setting, or with the family thanks to our superb facilities for entertaining the kids while the adults relax. 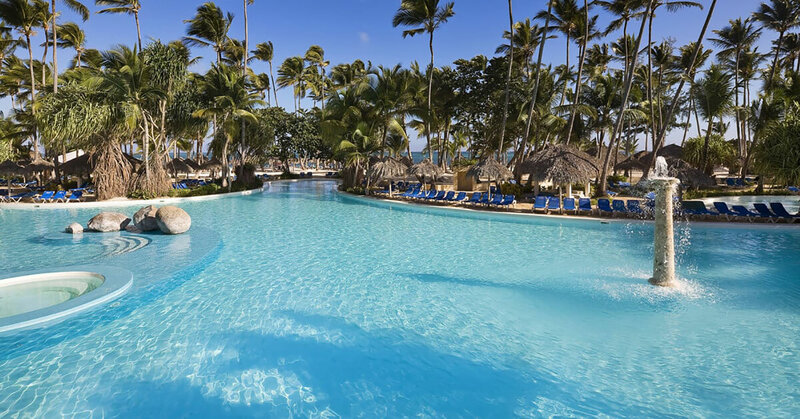 Enjoy Meliá Caribe Tropical Punta Cana, which offers a spa, 9 pools, casino and gym. It has 12 meeting rooms and magical spaces for the wedding of your dreams in a simply spectacular lcoation. Discover the possibilities offered by Bávaro: excursions, water sports and outdoor activities, always hand in hand with the beauty and richness of its natural surroundings. 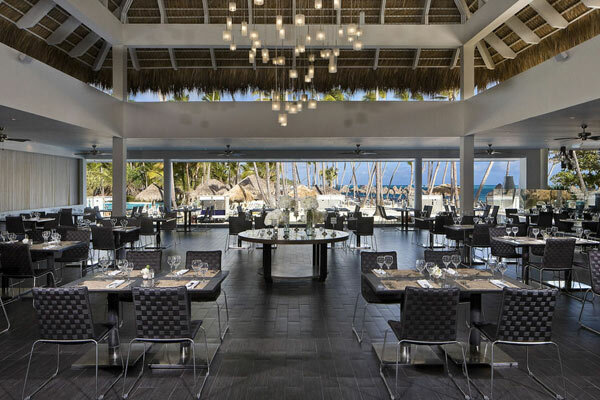 Dive into the culture of the Dominican Republic with salsa classes and mamajuana workshops, or try the Caribbean inspired dishes at one of our 12 exclusive restaurants, which also serve international cuisine. Live the magic of the Caribbean nights with a delicious cocktail in one of our bars or enjoy an evening show. And then why not let yourself go to the local rhythm and dance the night away! 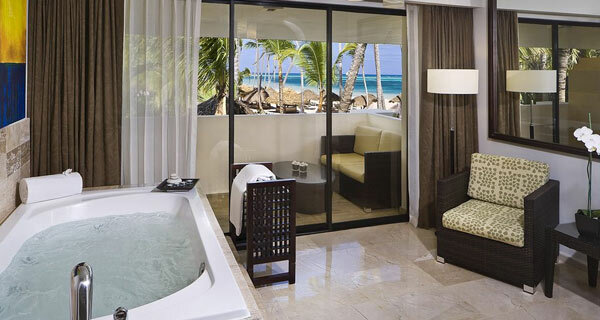 Bathed by the Caribbean sun, the rooms and suites at the Meliá Caribe Tropical Punta Cana blend in perfectly with their stunning natural surroundings. Decorated in soft tones, with wooden furniture and an elegant interior design, they offer maximum comfort and wellbeing during your stay. 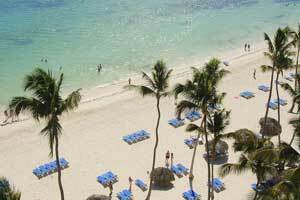 Enjoy the Dominican Republic just as you dreamt you would. 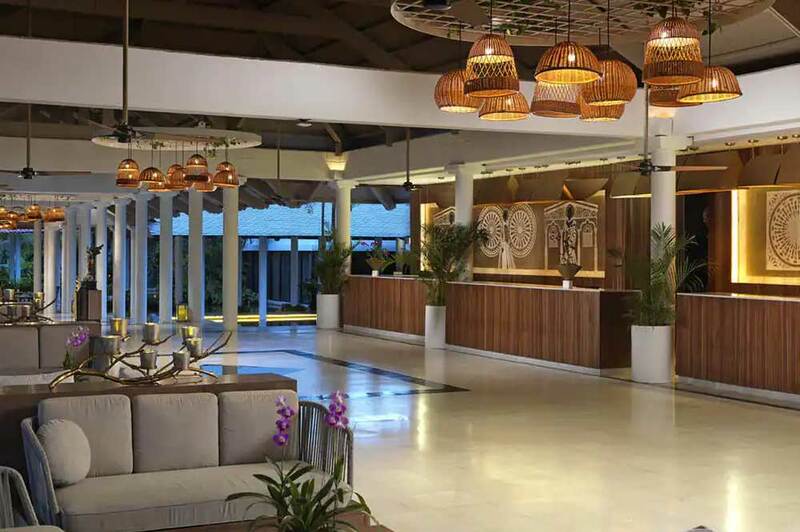 Meliá Caribe Tropical is more than a resort, it’s an experience and an important part of it are the services and facilities that we make available to make your stay an unforgettable moment. Whether you come as a couple, with friends or with family, we have something specially designed for you. Say goodbye to stress and worries. Welcome to an oasis of comfort and tranquility. Welcome to YHI Spa, the place where everything is ready to free you from the stresses of everyday life. The evocative atmosphere of our centre, in addition to the wide variety of massages and treatments, make it a true temple dedicated to body and soul, and absolute relaxation. 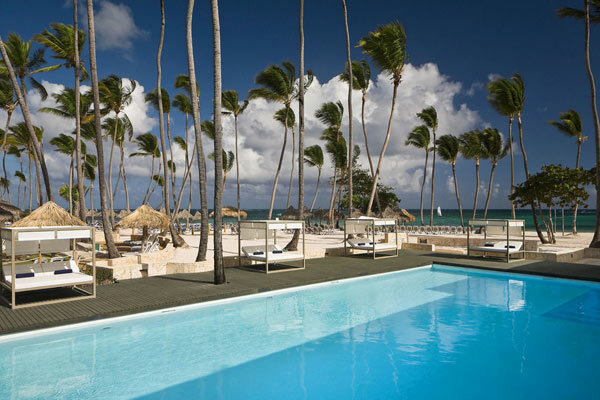 Imagine finding a professional 18-hole golf course, perfectly integrated into the Dominican landscape. Then look no further. Cocotal Golf & Country Club is everything you are looking for, and more. In addition to its incredible course, designed by José "Pepe" Gancedo, you can enjoy other services, such as the Club House and the Golf Academy, for a complete experience. Practice your swing in a dream setting. Because exercise is the perfect complement to a relaxing day, in our Moves and Wellness zones you can keep fit in the best possible way. Guided yoga classes, Pilates, cutting-edge equipment... all within reach so that you enjoy the time your way. And if you need personalized advice, we have personal trainers who will happily assess your needs and develop specially adapted programmes. The hotel has plenty of services designed exclusively so you can simply relax and enjoy your Caribbean vacation to the full. From a private security service throughout the resort to sun loungers and hammocks in our numerous pools and beach areas (with exclusive areas for The Level guests). 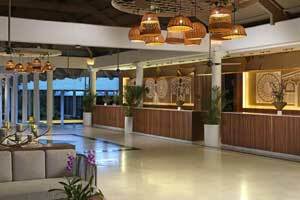 We also offer free Wi-Fi throughout the hotel, 24-hour reception service and room service from 7 am to 11 pm. 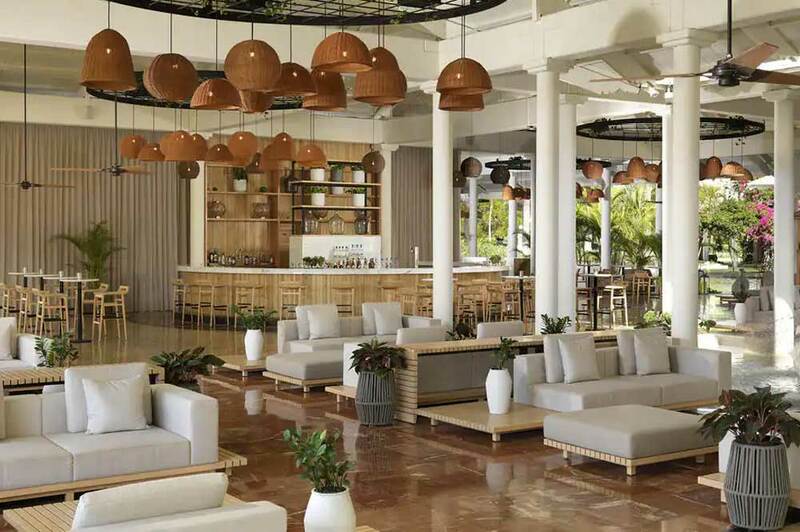 At Meliá Caribe Tropical we also have more interesting facilities, such as the casino, our large tennis courts, boutiques and gift shop, or direct access to Palma Real Shopping Village, where you can find the most contemporary and exclusive brands. And the hotel is fully adapted to accommodate people with reduced mobility. 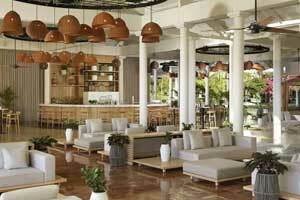 Let yourself be enveloped by our all inclusive philosophy and enjoy the unique and exclusive experience of staying in one of our All Inclusive hotels. Forget about having to organise and plan things, and just think about relaxing and enjoying your free time with the quality guarantee of Meliá Hotels International. Our qualified personnel will ensure a comfortable stay with all kinds of services and free access to modern and well-maintained facilities. We have romantic hotels for a very special honeymoon, adults only hotels, family hotels, luxury hotels, hotels with spas and business and events hotels. Don’t wait any longer and discover the choice of All Inclusive hotels offered by Meliá. Get active and get going with the wide variety of activities we have prepared for you. Move your body to the rhythm of the music, pedal hard or jump as high as you can. A programme full of excitement and entertainment suitable for all ages and tastes. Holidays are for relaxing, we know that, but they are also for trying out something new or for simply not forgetting your better habits. The day begins with a stretching session on the beach and ends with an intense dance class. In between, countless activities that you will surely love. From workshops to learn how to make the best mamajuanas, the typical Dominican drink, to volleyball matches or paddle yoga classes. Boredom exists, but not at Punta Cana. Like you, your children are here to enjoy themselves and to have fun. And it is at our Kids Zone where this is possible. As intrepid explorers, kids can scale the climbing wall or as real athletes they can participate in Mini Olympics. Because the best way to make you smile is to make your children smile, and at that we are experts. Activities and programmes for children aged from 8 months to 14 years. Practice your best shot at the Meliá hotels that offer golf courses. Complete your stay by practicing your favourite sport at a short distance from the hotel. There are golf greens of several levels for the enjoyment of professionals as well as novices, where you'll be able to attend either a golf tournament or just enjoy classes at the golf club. The perfect physical activity to activate your body during your holiday, and the best way to relax after a day of work. Visit our hotels near golf courses. 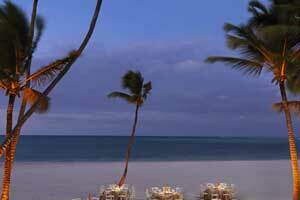 Away from our beaches and gardens is a space that creates the necessary magic to make any type of event a success. From a special wedding to an important conference, the Meliá Caribe Tropical, with its numerous rooms and spaces, is the ideal place for hosting an event.